PLEASE READ BELOW BEFORE CHOOSING THIS OPTION! 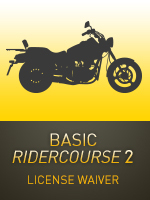 This course is an 8-hour course that contains a unique on-line classroom segment as a pre-requisite and also offers a variety of practice riding exercises designed to further develop your riding skills on your own motorcycle. The riding exercises conclude with a skills test. In order for a participant to earn their NYSMSP BRC2-LW License Waiver Completion Card they must successfully complete the eCourse (on-line) and the skills evaluation on the range. You’ll practice these critical riding skills on your own motorcycle in our secure riding setting. Successful completion of a BRC2-LW qualifies you for a motorcycle license road test-waiver with the New York State DMV. 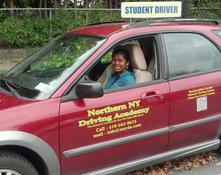 Skip the trip to DMV and sign up today for a NYSMSP BRC2-LW, your fast track to getting your Motorcycle License!